Tickets to VRLA are now available! 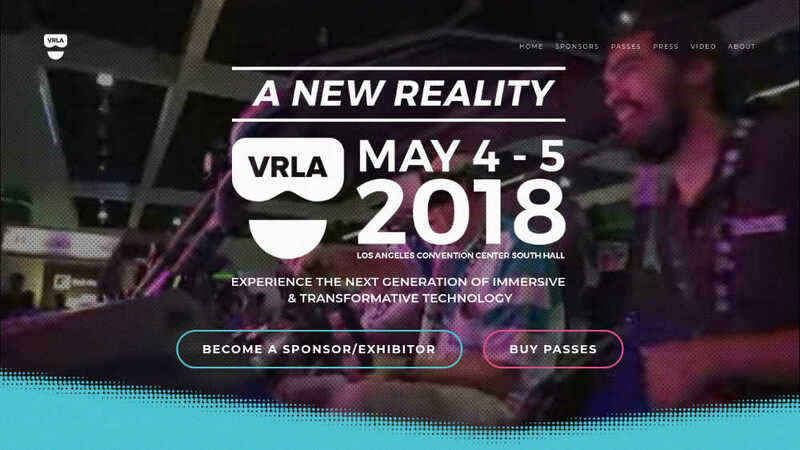 VRLA is one of the most exciting 360 and VR-related conventions I visited last year and this year returns to LA Convention Center or May 4 – 5. At VRLA 2017, majority of the exhibits were VR-related but there were also many 360-related booths. There was a huge booth by Radiant Images with a bunch of different professional 360 cameras. I also saw GimbalGuru with their 360 gimbals, and Kodak Pixpro with the Orbit360. I also got to try watching a 360 video in a dome theater and tried Microsoft Hololens for the first time. I also ran into several professional 360 videographer friends including Kevin Kunze, Fifer Garbesi, and Simon Miya. I hope to see them again this year, and I’m especially hoping to see more of Kodak’s new 360 cameras (their new 8K camera and convertible 3D camera). I’m also looking forward to seeing more AR tech, particularly for Apple ARKit and Google ARCore. Los Angeles, CA (January 31, 2018) — Passes to VRLA 2018, the world’s largest immersive and transformative technology expo, are now on sale! Experience how VR, AR, and other emergent technologies are creating a positive new future for the world on May 4th and 5th, at the Los Angeles Convention Center. This year’s expo will feature hundreds of tech demos, educational sessions, presentations, and groundbreaking product launches from the most innovative technology companies shaping our world today. VRLA is open to consumers, tech enthusiasts, and industry professionals alike, with passes starting at $30. Additionally, attendees can look forward to next-gen haptics, VR arcades, 360-cameras, motion simulators, 3D scanners, and the latest in CG and VFX technology across the show floor. “We’re thrilled to offer attendees even more ways to taste the future and open a conversation about how technology can help us manifest the reality we deserve,” said Scharf.